Corey Frey/ShutterstockCheerios’ Oat Crunch Cinnamon flavour was deemed particularly hazardous by the Environmental Working Group. The nonprofit Environmental Working Group found traces of weed-killer in breakfast foods like Cheerios and Quaker Oats products. The chemical in question, known as glyphosate, has been tentatively linked to cancer, though many scientists argue that the evidence isn’t conclusive. A 70-year-old man was recently awarded $US81 million in a lawsuit concerning the same chemical, which the man said caused his non-Hodgkin’s lymphoma. As the scientific community awaits further research, consumers are left to decide whether glyphosate poses a risk. Over the past year, the Environmental Working Group has conducted multiple tests to determine the presence of weed-killer in certain breakfast foods. In August, the group published a report that found traces of glyphosate, the most widely used agricultural pesticide in the world, in dozens of Quaker, Kellogg’s, and General Mills products, including cereals like Cheerios and Lucky Charms. The timing of the report aligned with an $US80 million lawsuit against Monsanto, which uses glyphosate as the active ingredient in its popular herbicide Roundup. The judge ruled that Monsanto had intentionally withheld information about Roundup’s potential harm, but did not make any claims about whether it contributed to the plaintiff’s cancer. On March 19, however, a federal jury ruled that Roundup was a “substantial” contributor to another man’s cancer diagnosis in 2015. After using the weed-killer to tend his property for more than two decades, 70-year-old Edwin Hardeman said Roundup caused his non-Hodgkin’s lymphoma. The jury has since ordered Monsanto to pay Hardeman $US81 million for failing to warn about the risks of Roundup. Hardeman is one of tens of thousands of plaintiffs who have filed similar claims against Monsanto, which was recently acquired by Bayer. But his case focused on the consequences of spraying Roundup – not ingesting traces of it. For its August report, the EWG tested levels of glyphosate in 45 samples of conventionally grown oats and determined that 31 fell below its safety criteria. Ten weeks later, it tested another 28 samples, focusing exclusively on Cheerios and Quaker Oats products, and found that all but two showed harmful levels of glyphosate, according to its measures. We don’t yet know whether glyphosate is actually linked to cancer. As it stands, most published research has found that glyphosate isn’t a health threat at the low levels to which consumers are exposed. Certain scientific groups have insisted there is a link between glyphosate and cancer, but others aren’t convinced. Organisations such as the Environmental Protection Agency, the European Commission, Canada’s Pest Management Regulatory Agency, and the World Health Organisation’s International Program on Chemical Safety have determined that glyphosate does not present a public health concern. Much of the argument surrounding glyphosate boils down to a report published by the WHO’s International Agency for Research on Cancer that said the herbicide was “probably carcinogenic in humans.” But an extensive review of the material by Reuters found that the IARC had edited parts of the document that didn’t align with its conclusion. While some scientists have backed away from the IARC’s findings, others are doubling down. “This is especially true for parents buying breakfast cereals for their infants and children,” said Lu, who is not affiliated with the EWG, though it has covered his findings in the past. The EWG considers any cereal with a glyphosate level of more than 160 parts per billion to be unsafe. The legal limit for oats – as outlined by the Environmental Protection Agency – is 30 parts per million, or 30,000 parts per billion, for adults, making the EWG’s threshold nearly 188 times as stringent as the EPA’s regulations (though it’s common to enforce stricter limits for children). “Since children have an increased susceptibility to cancer-causing substances, it’s standard scientific practice to include a tenfold margin of safety,” said Tasha Stoiber, a senior scientist at the EWG. Are Cheerios safe to eat? In the wake of the EWG’s findings in August, both General Mills and Quaker insisted their products are safe. The companies released statements to Fast Company citing their compliance with Environmental Protection Agency standards. 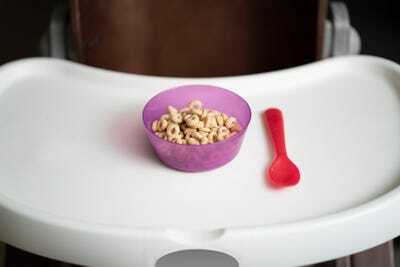 “Our products are safe and without question they meet regulatory safety levels,” General Mills said. But it still warrants the question: Are the EPA’s standards up to par? Despite these claims, there’s still not enough data to conclusively determine a risk. For this reason, Lu said, people might want to limit their exposure to glyphosate as a precautionary measure. Those worried about the safety of their breakfast foods should consider what the EWG has to say about individual foods. Of the 28 new samples, the group found that Quaker Oatmeal Squares cereal showed the highest levels of glyphosate, nearly 18 times as high as its safety threshold. Other foods that stood out as particularly hazardous by the report’s standards included Quaker Overnight Oats and Cheerios’ Oat Crunch Cinnamon flavour. But even these foods wouldn’t be considered unsafe by the EPA. As with any scientific study, it’s possible that new research could shed light on the EWG’s warnings. Even studies that once seemed definitive have been called into question – the US Department of Health and Human Services recently determined that after decades of being labelled a carcinogen, a zero-calorie sweetener called saccharin is not thought to cause cancer. It’s also possible that scientists could uncover new safety concerns for crops like wheat, barley, beans, and chickpeas, which are exposed to glyphosate before harvest.